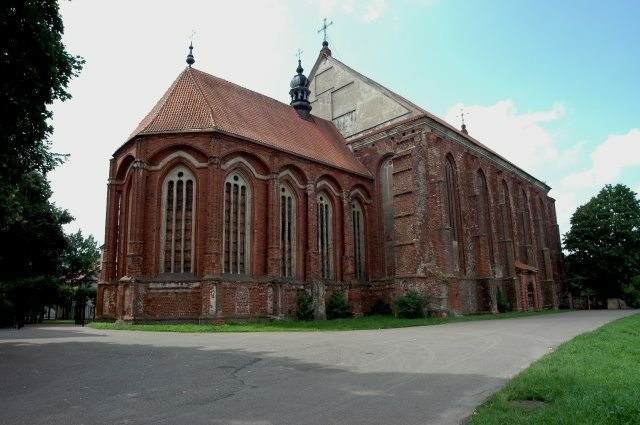 The Gothic red brick Bernardine Church and the two-floor Monastery were constructed at the turn of the 15th-16th century. The Monastery and Church buildings adjoin, creating a rectangular walled yard and an enclosed garden. Despite the fires that had ravaged Church, in the first half of the 17th century the Church contained an impressive amount of altars ‒ in total 16 altars. This indicated the influence of Bernardine spirituality, the attention that had been given by the townspeople and the copious offerings. 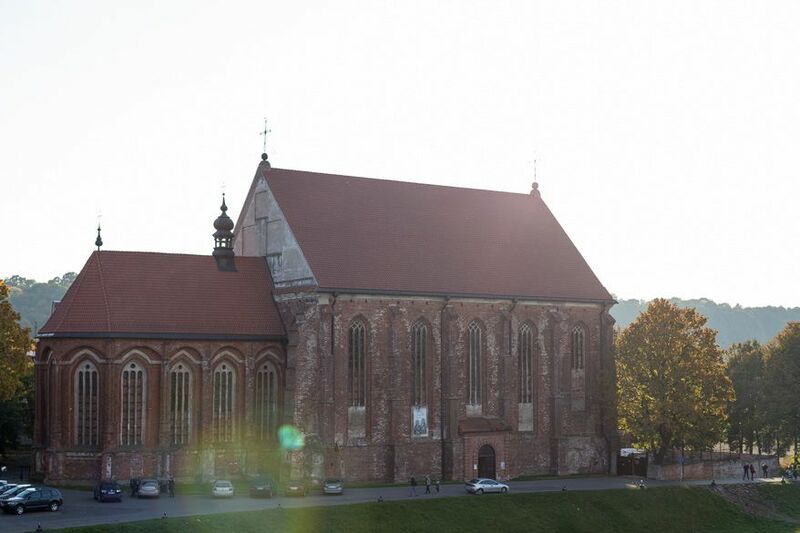 Bernardine Church was the largest church in Kaunas. The Bernardine Order had also established a school and by 1731, Kaunas had become one of the main centres of Bernardine philosophy study, where education took four years. The war with Russia and the subsequent occupation in the middle of the 17th century, along with frequent fires completely destroyed all the Church equipment. 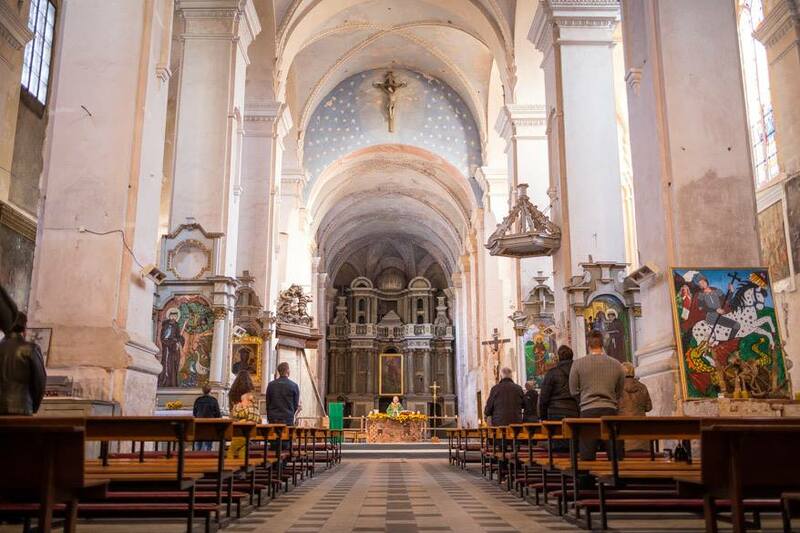 Finally, in the second half of the 17th century – the beginning of the 18th century the magnificent Baroque interior of the Church was restored, which survives until nowadays with minor changes. The 19th century was even worse for the Church ‒ in 1812 Napoleon army soldiers vandalised the Monastery and in 1842 the Tsarist Russian government dissolved the monastery. The monastery building was vandalised, then changed into a prison, then used as a high school and later it was used as a military warehouse. In 1925, after a design by the architect Feliksas Vizbaras, the second floor was added on to the two-floor Gothic Monastery building, and the building acquired a Neo-Baroque outlook. The Church was closed in Soviet times in 1950, and was used as a medication warehouse. 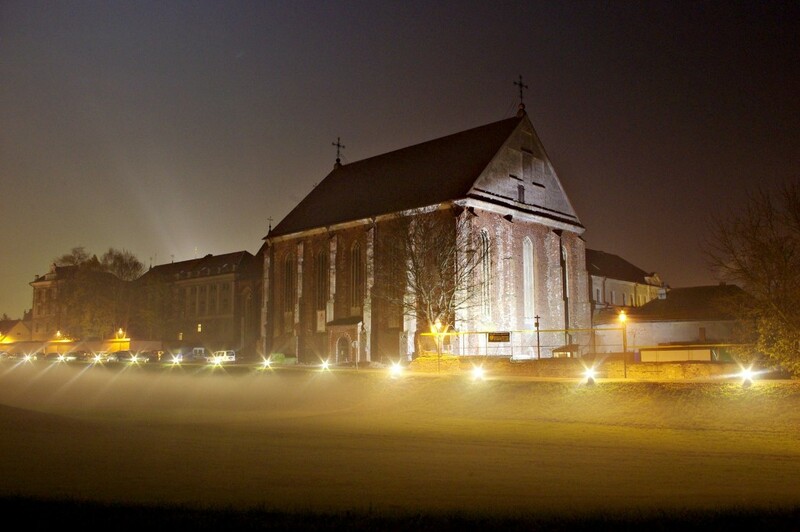 In 1993 the Church and Monastery buildings were returned to the Franciscan Order.